Traditionally, most benchmarks have focused on throughput. 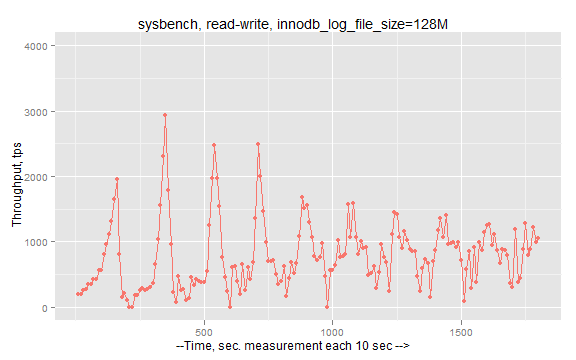 We all get used to that, and in our benchmarks, sysbench and tpcc-mysql, the final result also represents the throughput (transactions per second in sysbench; NewOrder transactions Per Minute in tpcc-mysql). However, like Mark Callaghan mentioned in comments, response time is a much more important metric to compare. Well, all benchmarks are lies, and focusing on throughput does not get any closer to reality. When we add additional node to a cluster (e.g. XtraDB Cluster), how does it affect the response time? When we put a load to two nodes instead of three nodes, will it help to improve the response time? Do we need to increase number of working threads when we add nodes? 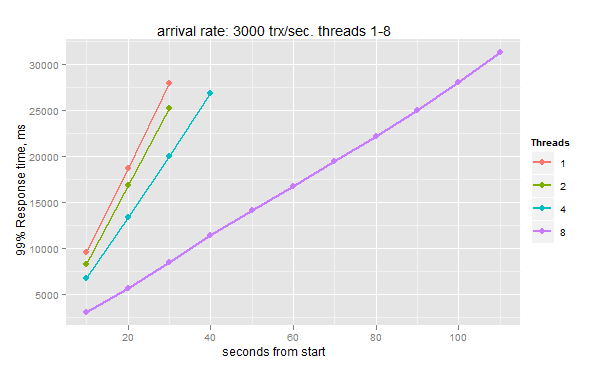 We can see that 16 threads give best 99% response time (15.74ms final), 32 threads: 16.75 ms, 64 threads: 25.14ms. 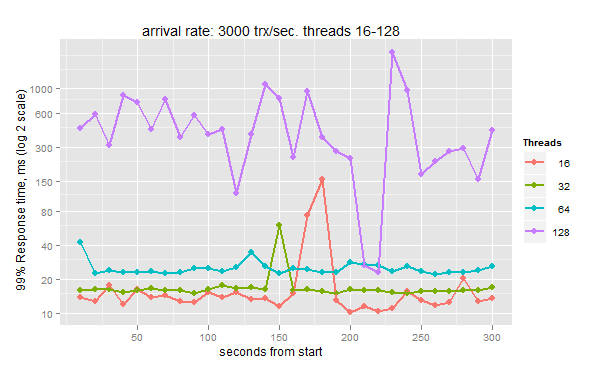 And with 128 threads we have pretty terrible unstable response times, with 1579.91ms final. I'm looking for your comments -- do you find this useful?